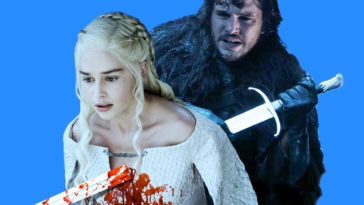 The Game of Thrones Season 8 premiere has shown us that the ever-growing army of White Walkers has made progress since their blue-eyed leader mounted Ice Viserion and crumbled the Wall in the Season 7 finale. 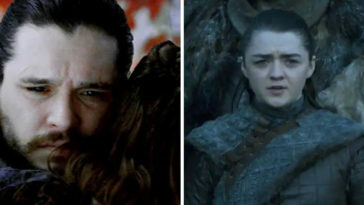 We learned this through the ghastly final moments of Season 8’s first episode, titled, “Winterfell,” in which Tormund Giantsbane, Beric Dondarrion, and Eddison Tollett arrive at Last Hearth (ruled by House Umber) only tofind a spiral message on the wall ‘written’ in human remains. As the group takes in this dreadful sight, the body of Ned Umber (pinned in the middle of this limb-spiral) returns to life as a wight and tries to attack Tormund, causing Beric to set him on fire with his torch. The flames engulf the undead Ned, then spread quickly to the surrounding limbs. 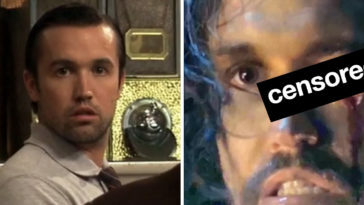 The resulting scene is a flaming spiral even the most diehard Thrones fans may not remember seeing throughout the series. A variation of the spiral pattern first appeared in the very first episode of the show. 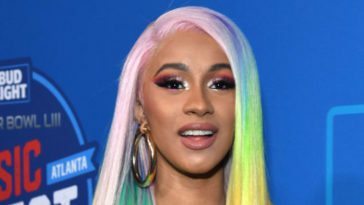 The kickoff scene of the Season 1 premiere, “Winter is Coming,” follows a trio of Night’s Watch rangers as they stumble upon a spiral of chopped-up wildlings north of The Wall. They ignore it, only to later be attacked by a wight child. When Daenerys is reborn as the Mother of Dragons in the Season 1 finale, she carries her three dragon eggs Khal Drogo’s funeral pyre—also arranged in a circular pattern. After the fire dies down the next morning, Daenerys emerges holding three baby dragons. Jon Snow comes across a spiral in Season 3’s episode 3, titled “Walk of Punishment.” Jon and wildling leader Mance Raydar are far beyond the Wall when they stumble upon horse corpses arranged into a spiral—Victims of battle between the White Walkers and the Night’s Watch. “Always the artists,” Mance says of the White Walker’s handiwork, implying that the arrangement was something he’d seen before. 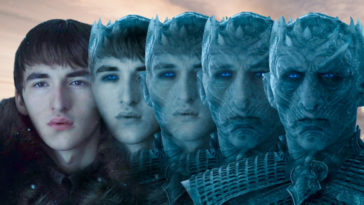 The origin of the spiral pattern was revealed in Season 6, when Bran Stark warged into the past to see the Children of the Forest stabbing a First Man through the heart with dragonglass, effectively creating the first White Walker (our pal the Night King). In Bran’s flashback, the First-Man-Turned-Night-King is bound to a weirwood tree surrounded by large stones the Children of the Forest presumably use for magic—arranged, of course, in the shape of a spiral. Later that season, Bran again wargs back to the scene—now during winter—and the Night King sees him and grabs his arm, leaving a scar. We are then shown an overheard view of the Night King standing around the spiral symbol, surrounded by his new White Walker army. The final time the pattern appears is in Season 7, when Jon Snow shows the Dany prehistoric markings left by the Children of the Forest in a cave underneath Dragonstone, where Dany was born. 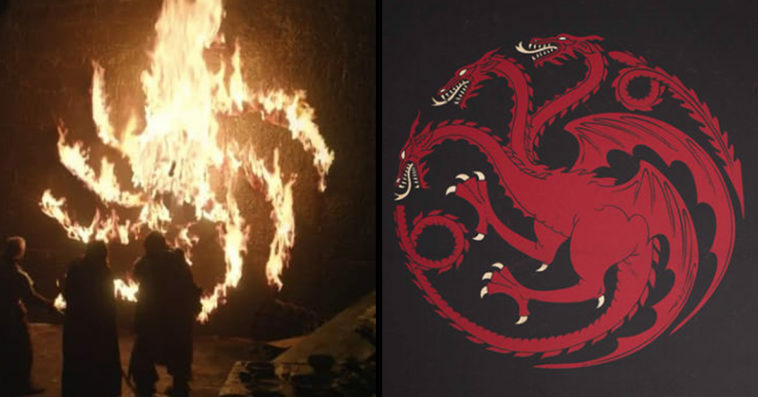 The mysterious symbols have left much room for speculation, with some fans taking to social media to point out the spiral pattern’s resemblance to the Targaryen sigil. While we may not know much about the spiral pattern plaguing the entire Game of Thrones series, we do know it somehow ties in with the White Walker’s origin story—meaning, of course, that it also figures into their demise.